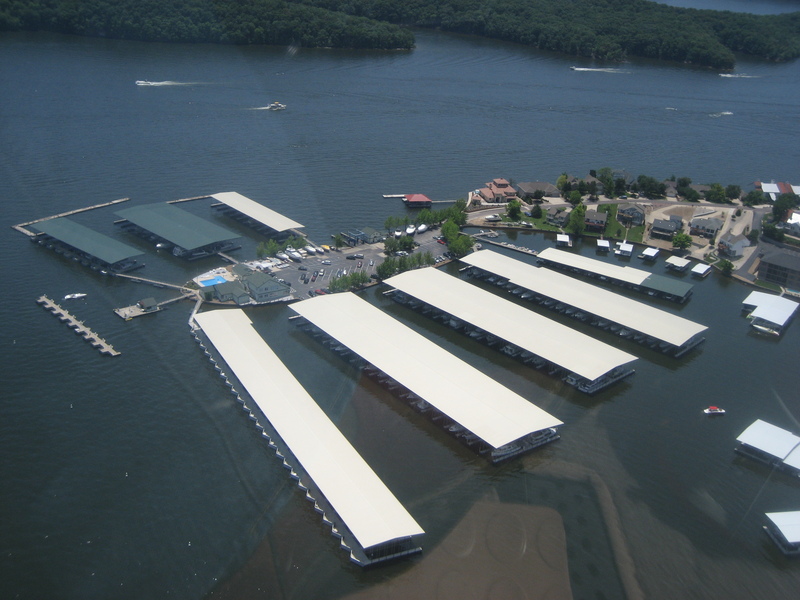 Welcome to the Moorings Yacht Club & Marina, the largest private yacht club on the Lake of the Ozarks located at the 1.5 mile marker of the Grand Glaize arm. By land, conveniently located 3 miles west of the Grand Glaize Bridge directly off of Hwy 54. 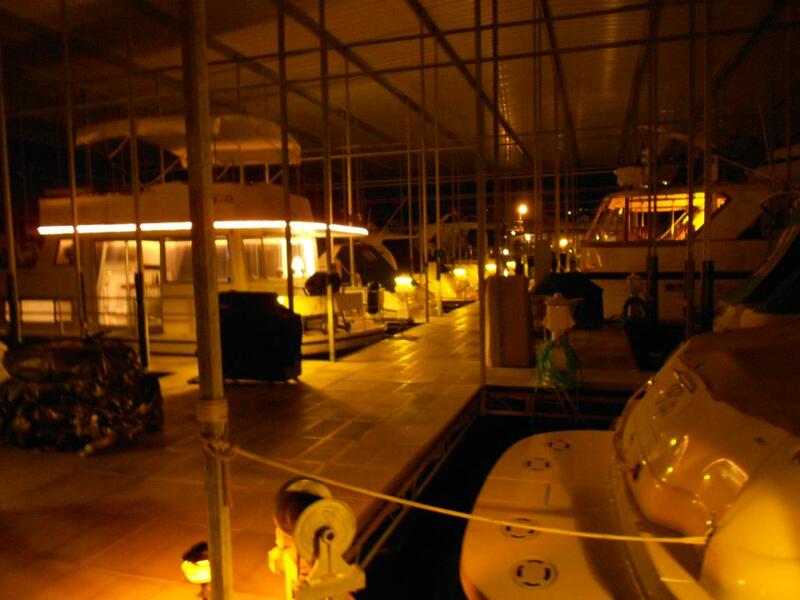 Our top quality, covered slips are capable of accommodating anything from personal watercrafts to 56’ vessels. 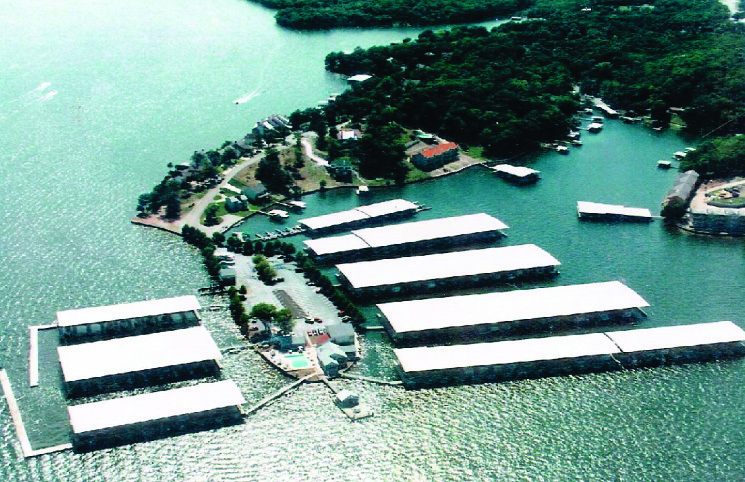 We are committed to providing the best boating experience by offering a long list of amenities including two club houses, 4 shower/restroom facilities, a full service gas dock, a swimming pool, family gathering/bbq area, wireless internet connection, cable TV at your slip, boat sales and brokerage services, and a 1st-class service department. 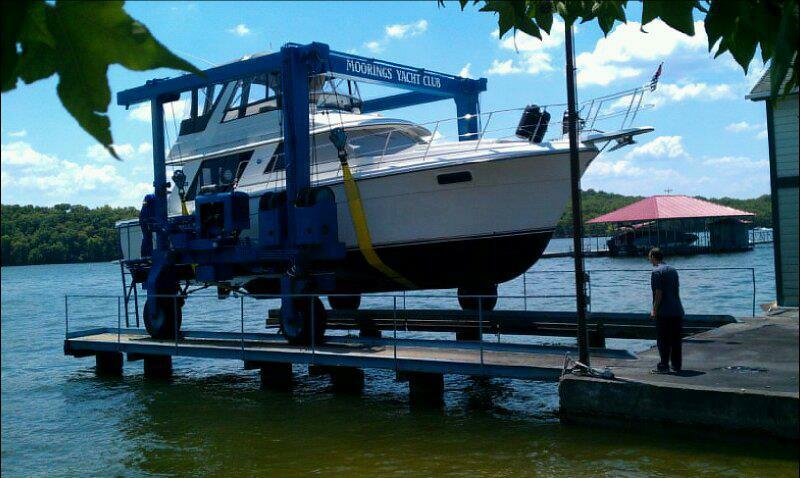 The Moorings Yacht Club has a 60,000 lb travel lift and a service team specializing in bottom job/blister repair, buff and wax services, and anything from changing spark plugs to major engine overhaul. With security including cameras, a security gate, and security guards on major weekends you can rest easy knowing your vessel is safe and protected. We invite you to come discover our premier facility and meet our friendly staff.